The Office has a new home. Deadline reports Ricky Gervais’ spin-off movie, David Brent: Life on the Road, has been picked up by Netflix. 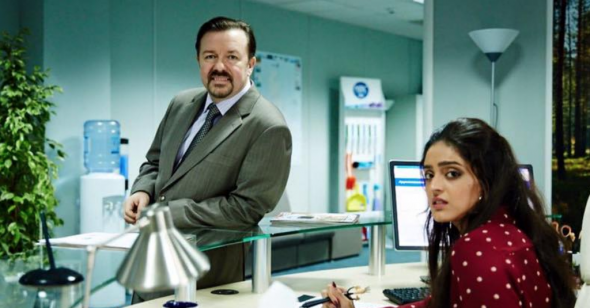 Gervais co-created and starred in the original Office, which ran for two seasons on BBC Two before ending in 2003. The cast also included Martin Freeman, Mackenzie Crook, and Lucy Davis. The movie will center on Brent trying to achieve his dream of rock stardom several years after the events of the original series. Netflix has yet to confirm the news. What do you think? Did you watch the original Office series? Will you watch the spin-off movie? More about: Netflix TV shows: canceled or renewed?, The Office (US), The Office (US): canceled or renewed?